The individual and corporate support we get from the Northshire community is essential to our meeting the goals of our mission – so we understand how important sustained support can be. And, we try to pass that idea of community service on to our students, sometimes as an element of their personalized education plan. It works. Meet Dillon, an alternative high school education student, who was just recognized as a valuable volunteer by the Manchester Community Food Cupboard. 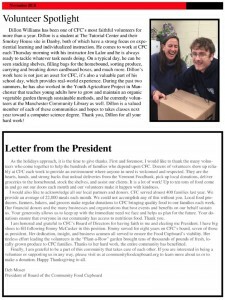 We love that our students can work on personal development during their time with us and and help important organizations like The Community Food Cupboard continue its important work. “Dillon Williams has been one of CFC’s most faithful volutheers for more than a year. 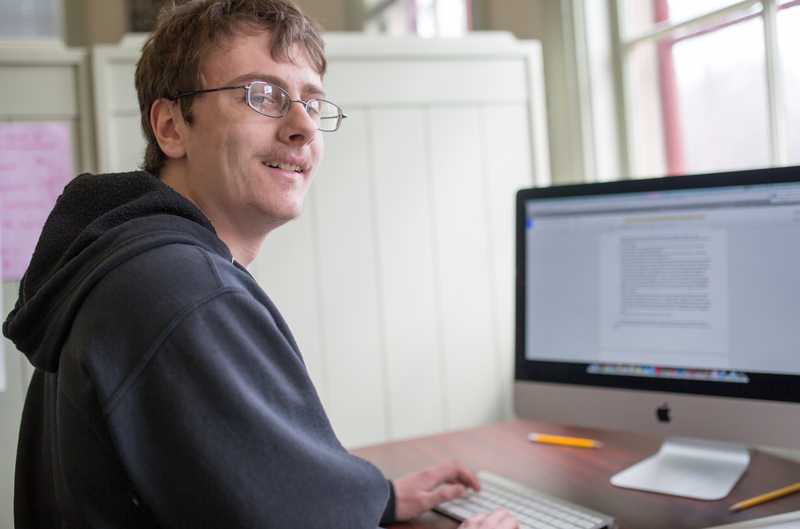 Dillon is a student at The Tutorial Center and their Smokey House site in Danby, both of which have a strong focus on experiential learning and individualized instruction. “He comes to work at CFC each Thursday moming with his instructor Jen Lalor and he is always ready to tackle whatever task needs doing. On a typical day, he can be seen stacking shelves, filling bags for the homebound, sorting produce, carrying and breaking down cardboand boxes, and much more. 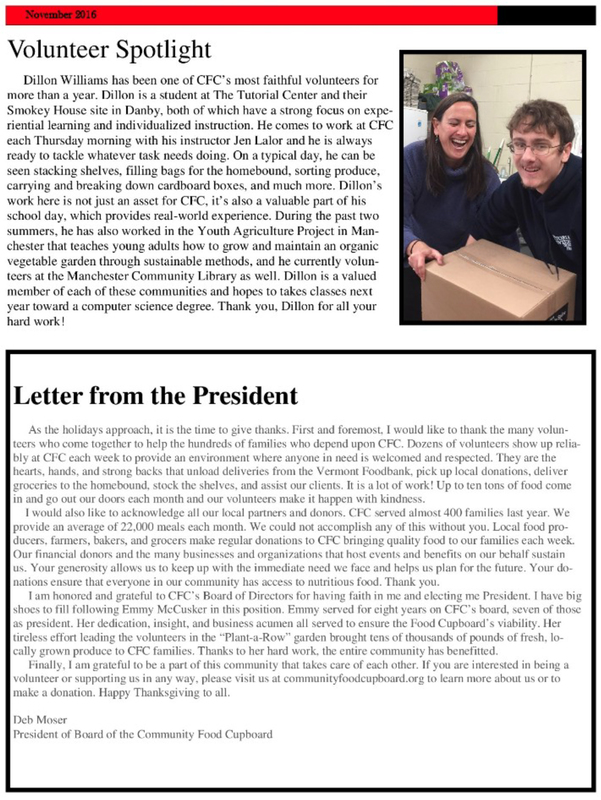 “Dillon’s work here is not just an asset for CFC, it’s a. a valuable part of his school day, which provides real-world experience. During the past two summers, he has also worked in the Youth Agriculture Project in Manchester that teaches young adults how to grow and maintain an organic vegetable garden through sustainable methods, and he currently volun-teers at the Manchester Community Library as well.